Yes, glaciers are melting. Yes, antarctic ice increasing. Yes, other planets are warming. What is going on? Is all this due to fossil fuels? 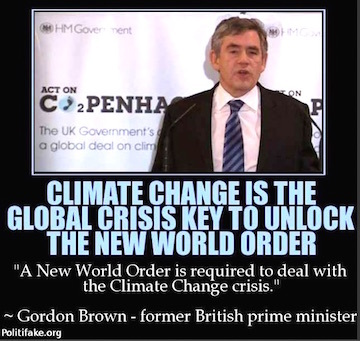 “…97 per cent of the world’s scientists supposedly believe in catastrophic anthropogenic global warming requiring massive government intervention. That percentage derives from a survey conducted for a thesis by M R K Zimmerman. Only 6.2 per cent came from Canada. So the United States is over-represented even within that North American sample. Nine per cent of US respondents are from California. So California is over-represented within not just the US sample: it has over twice as large a share of the sample as Europe, Asia, Australia, the Pacific, Latin America and Africa combined. 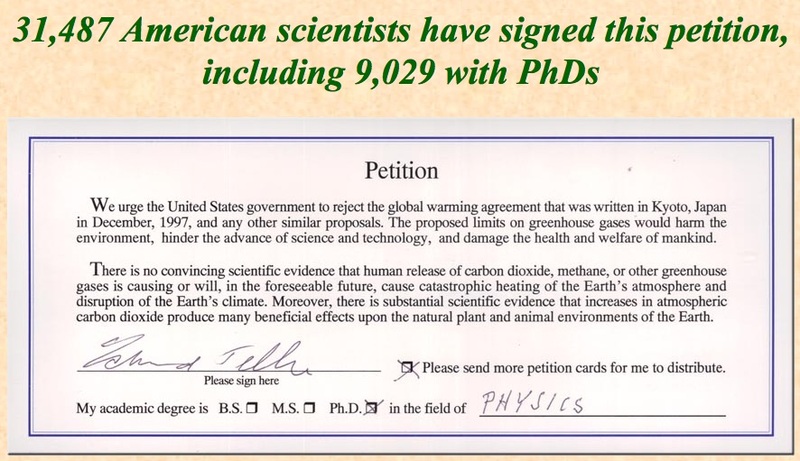 Meanwhile a real petition shows many thousands of scientist are “climate deniers.” According to Petitionproject.org, the Global Warming Petition Project, or the Oregon Petition has the signatures of “31,487 American scientists,” of which 9,029 stated they had Ph.D.s. For this reason, Post Gorbachev Russia will not take part in carbon credit scam in which a tax is placed on civilization in order to control who are the haves and who are the have nots. Climate was once mostly altered by cloud seeding, but then electromagnetic methods were explored and now perfected. Virtually no meteorologists know about geoengineering, just as most geologists are blind about earthquake weapons. Wikipedia says geoengineering is hypothetical, but wikipedia is controlled disinformation. Extreme climate created by geoengineering backs up the perception of “climate change.” In reality climate always changes because nothing is static, The Earth’s orbit is not static, the sun’s radiation is not static, the position of sun in galaxy is not static. Even the axis of Earth’s rotation and position of poles is changing, as Inuit elders have noticed the axis is shifting. Does anyone think that CO2 is causing the axis to shift? The magnetic poles also shift. And then there is the inconvenient truth that Antarctic ice is increasing. Is that because of fossil fuels? 49 NASA scientists have written letter disclaiming the science behind “Global Warming”. Also 74 NASA scientists killed in just two years, because they knew too much about the fake science, and/or too much about the secret second space program, paid for by the reader. From DailyTech, we have still more evidence that any warming occurring on planet earth is coming from natural sources and is cyclic in nature–NOT from the evil capitalism that Al Gore, the UN politicians at the IPCC and other socialists love to blame. If our media, culture and a large portion of the “scientific” community were really honest, it would be the worshippers of the religion of anthropogenic global warming who are called “skeptics,” wouldn’t it? Because it is those pushing this silly theory that our puny SUVs and power plants are causing earth to warm up when the most obvious source of heat hangs over their head every single day. AGW simply doesn’t pass the smell test. Nor does it line up with the objective data. 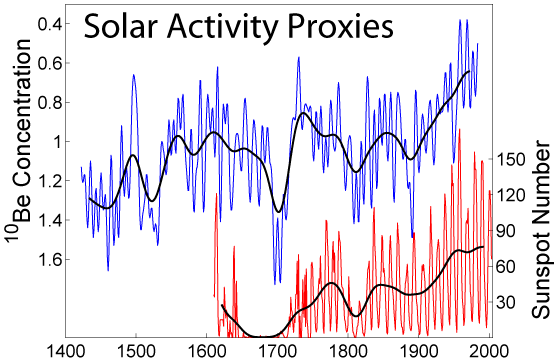 As this graph shows, solar activity has been cyclic in nature going back hundreds of years. Solar activity is also increasing, and we are coming out of the “Little Ice Age” of just a few hundred years ago. Of course the planet is warming–we’re coming out of a cold spell! The Maunder Minimum period of diminished solar activity coincided with the Little Ice Age when Europe and North America experienced bitterly cold winters. About 1,000 years ago, Greenland was warm enough for the Vikings to colonize and grow vineyards. Today Greenland is almost entirely covered in ice. Tell me: is the earth warmer today than it was 1,000 years ago? Did they have SUVs and coal power plants in the days of the Vikings? This isn’t tough to figure out, people. 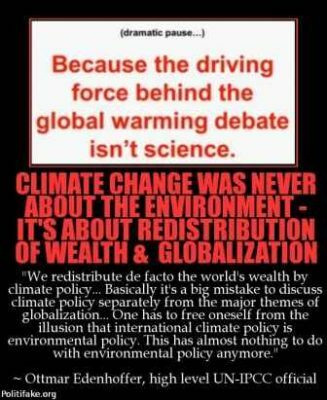 The only thing tough about the global warming debate is trying to get the facts to match the socialist agenda of the AGW proponents. Try as they might, they just can’t do it, and more and more people are starting to see that. And we’re supposed to watch our electric bills go up 40% and see our economy devastated on what-ifs and a bunch of garbage that not only doesn’t match the evidence but doesn’t even pass the smell test? I’m not as gullible as these shysters seem to think I am, and I don’t believe most of the American people are either. Before beginning the study guide, I suggest that reader should become familiar with the fact that science is no longer objective or evidence based. 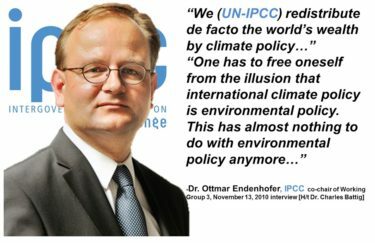 “It has been suggested, with evidence, that NOAA has been a little less than forthcoming with temperature data this year ahead of all these big UN meetings addressing Agenda 21 and climate change. I’m sorry, did I say “a little less than forthcoming”? If this is true, I meant to say a bunch of big fat liars. “It has been announced that more than 190 countries are set to meet in Paris in December to see about a “new global agreement on climate change aimed at reducing global greenhouse gas emissions and thus avoiding the threat of dangerous climate change” since the current “commitments” on emissions run out in five years. “In its report on this, The Guardian answers the question “Why has nobody thought of getting a global agreement on this before now?” by saying they’ve been trying to get something going in this area for 20 years now at least but only in the last two decades has “science” consistently pointed in one direction which is that greenhouse gas emissions from industry and fossil fuels are causing global temps to rise. “The science, huh? The “settled” science? The data that has “consistently pointed in one direction”? “Ignore a decades-long cooling period. Ignore Climategate — an organized climate change conspiracy and collusion in exaggerating warming data out of the Climate Research Unit at University of East Anglia — or that NOAA tried to erase the “pause” in warming in 1998 by saying it was just “improperly adjusted data”, for a moment. 1. Other planets warming, and that is because of fossil fuels? Tim Ball is suing Michael Mann in Canadian Court and winning. A simple common sense debunking of “climate science”, 28 minute video by Noble Laureate. Maurice Strong, the man who introduced the idea of “global warming” at the Rio Earth Summit in 1992, set the initial charge to the IPCC in a way that completely ignored anything about potential impacts of the Sun, choosing to focus only on potential human causes — Anthropogenic Global Warming (AGW). Strong, a long time agent of the Rockefeller cartel, had a clear directive to organize human efforts against a common enemy, and that enemy was chosen, by elites in the Club of Rome (founded by David Rockefeller), to be “global warming.” This was spelled out in their document, Limits to Growth, in 1972. The Nine Lies Of Al Gore : Climate Change – Dr. Sircus Al Gore is the principal prophet of doom in the global warming debate, and the 2006 documentary An Inconvenient Truth is his gospel to true believers. Al Gore Lied – facebook.com Al Gore becomes first ‘carbon billionaire’ after scaring the hell out of the whole planet with his Global warming scam!!! Al Gore made over $100 million by being a front man for THE HOAX. 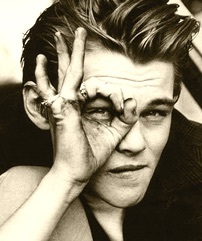 Decaprio joins Illuminati all seeing eye club as young man. Headed by Tony Blair, Fabians now dominate the entire British government. Today colonization is called globalization and we are all at risk. Now the middle class is endangered. Now people are starting to wake up. It is we dumbed down, manipulated sheeple who hold up the pyramid of abuse, so of course, the top elite will never allow us to break away and have informed choice. Waking up not only means waking to lies, waking to manipulation, waking to injustice, it must also mean waking to materialism and very much changing our material desires and impact. For this reason, the spiritual road has been masked, often by those who create churches and temples. We are supposed to stay slobbering for more stuff. 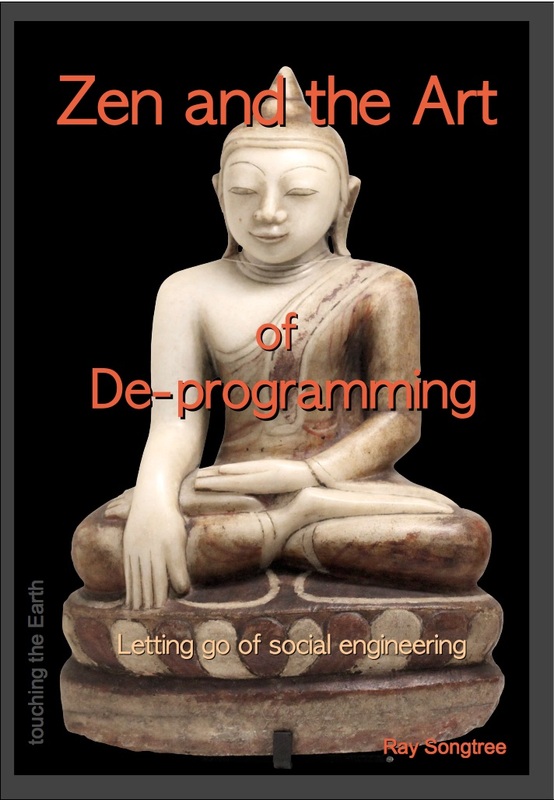 The elite mask the spiritual path which would take us away from dependency. The elite need dependent slaves. 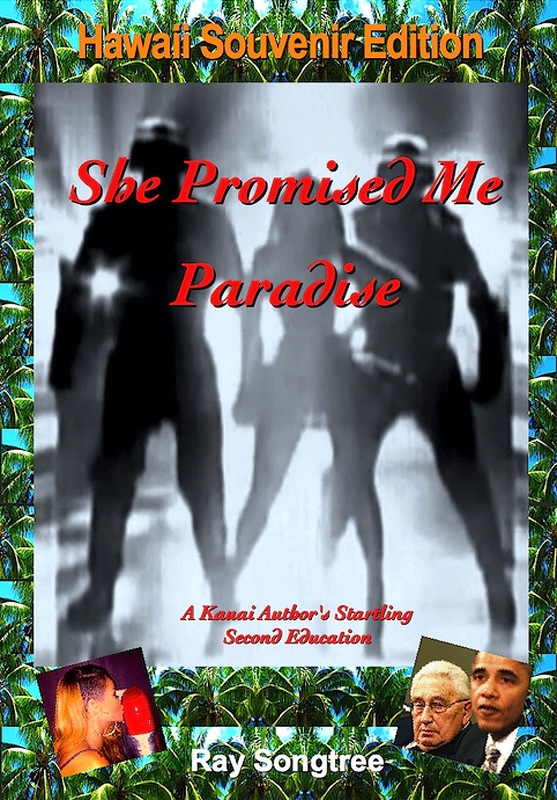 In our times, we are are dumbed down by promiscuity and government trafficked drugs to be addicts of sensation, not seekers of inner refinement. I regard Foster Gamble who wrote essay below, as a sweet hearted globalist who always talks about “humanity” instead of diverse re-localization. Globalists are not just the top of pyramid, they include anyone who thinks there are global answers. Rather, all such thoughts need to be abandoned, and exchanged for what will survive, which is local answers. As a globalist, Gamble is committed to one world government to be ruled by enlightened people like himself, who also happen to be into high consumption. Dr. Steven Greer has same vain disease. So does Richard Heinberg and Helena Norberg-Hodge. 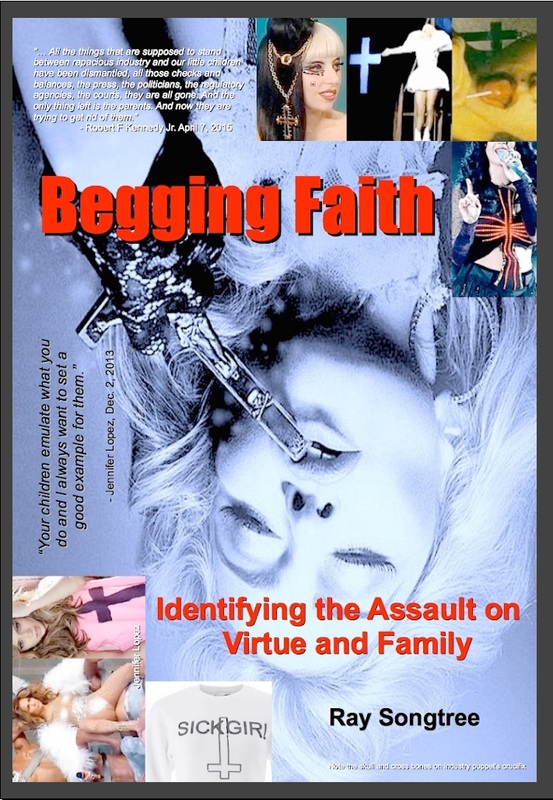 The promise of more candy is precisely why Gamble’s work with “Thrive” and Greer’s work with “Disclosure” are popular. Foster Gamble’s homepage has 250k Facebook likes. Those who want to keep all their toys, love him. But Gamble and the followers of his “movement” are mistaken. In order for the ancient biosphere (which includes millions of other species) to thrive, human population must return to to the level of consumption we had 500 years ago. There is no argument with this. This is what must happen and the Earth will make sure that is does happen, because she is finite material being. Resource depletion is here. Modern, high consumption, industrial “man” is burning out the ancient planet as we strip mine and pollute it. Therefore we must consider what worked before this industrial insanity began. Ancient lifestyle worked, modern lifestyle does not. There is no way to drive a hot rod slowly. There is no way to live naturally and also be in a golf club. How many deep ecologists live like the kings of old? Answer… almost all. 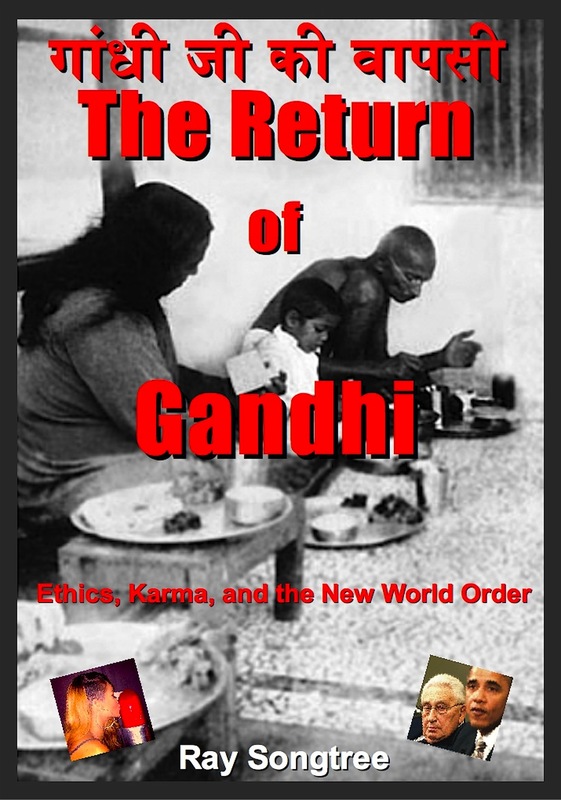 Foster Gamble, Steven Greer and Peter Joseph of Zeitgeist Movement, expose themselves as vain spoiled globalists, who think humans are masters of their own destiny. Not true. We are just one member species in an ecologic family. They believe that we elite humans will control and maintain a “thriving” planet, where billions will use high tech, miraculously without impact. After messing up everything, we will come up with a new invention, a new bandaid, rather than realize the direction we were headed for was simply wrong. There is no utopia ahead and we have destroyed our planet in trying to get to never never land. Gamble, Greer, and Joseph, and almost every reader, are simply inebriated by the high fashion lifestyle. Any and every piece of industrial product in your home, your car, your work place, in your view as you look in any direction, came to exist by permanently destroying a part of the ancient planet and murdering the ecology that once lived there. The soil will require hundreds of thousands of years to come back. So will the forests. So will the wetlands. So will the reefs. The water tables may never be pure again. The polluted water tables from mining and industry and “science” will eventually pollute the oceans. Are you still fascinated by your “smart” phone? Anyone reading this who does not have a garden is lost in this industrial bubble also. We have forgotten what natural living is. Natural living is hearsay to most of us, a rumor. We are so habituated, that though we all know something is wrong, very few are willing to change their BEHAVIOR. And let’s not worry about collapse. Believe it or not, the indigenous lifestyle can be only one generation away as proven here.